CyberD.org / » All In One Piece! 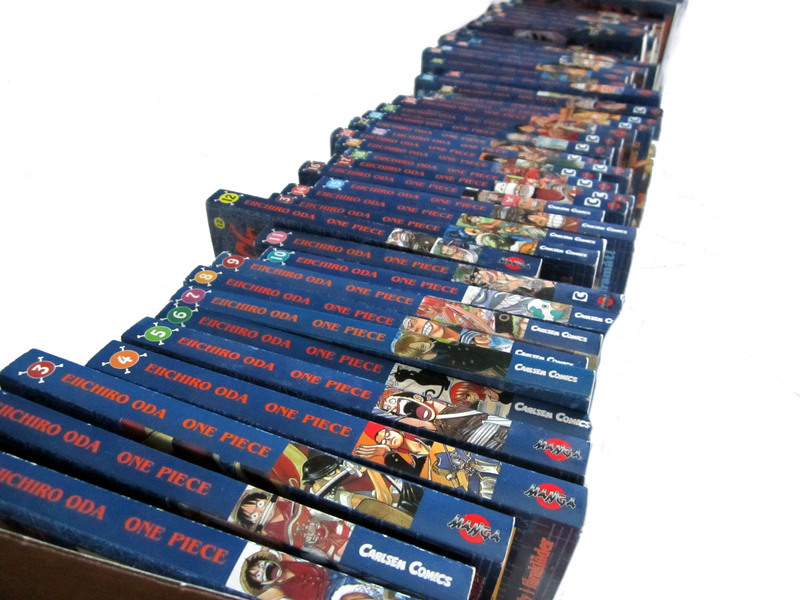 C:\ Home » Anime » All In One Piece! Only 66 volumes were released in Swedish before Bonnier-Carlson had to cancel their deal over poor sales figures... which is a shame, since sales figures would surely have risen since with this most awesome of series! The market just wasn't ripe yet. But, apparently canceling a deal is not something that can easily be uncanceled later on, so there might not be any Swedish OP in a foreseeable future! 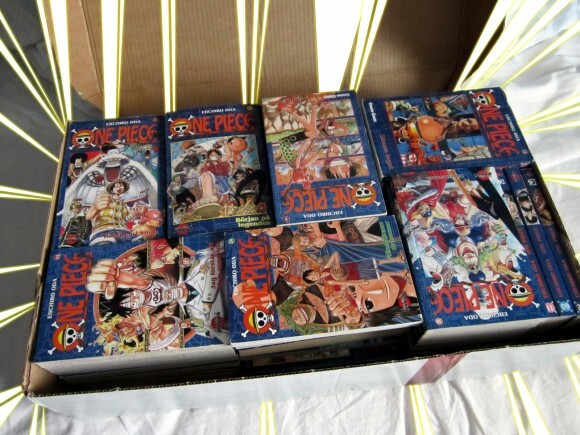 In the collection I attained there's just about a dozen volumes missing, but I hope to get a hold of those too. After that... English translations I suppose? The Swedish translation ends after the Mermaid saga, so it's not that far after the most recent releases. Just look at that line! I'm on #10 so far, and starting to realize why people prefer the manga... even if some scenes aren't quite as pompous as they are in the series - without color, without soundtrack, without a camera panning slowly over the most somber scenes, letting us savor the savagery; shed a few tears before we turn a page. On the other hand, there seems to be plenty of details in the manga that were never actually animated. Reading the manga now is like rediscovering the OP world once more, in its purest form. It's awesome, and the frequent Q&A columns with Oda are a much entertaining addition, albeit a bit distracting from the action content. Well, I'm moving onto the post-Arlong Park Saga. I'll keep you posted. (One) Peace. posted by Cyber on Sunday, September 6th, 2015 (4:53 PM) in Anime. Keep track of the discussion via rss? Read about comment etiquette? Or type in something below! This was pretty damn interesting. And yet, nobody's spoken! Be the first! Your email is saved only to approve your future comments automatically (assuming you really are a human). ;) It's not visible or shared with anyone. You can read about how we handle your info here. Ongoing shows worth checking out.